Crickettrip.com is offering tours covering Test matches only at Bangladesh. 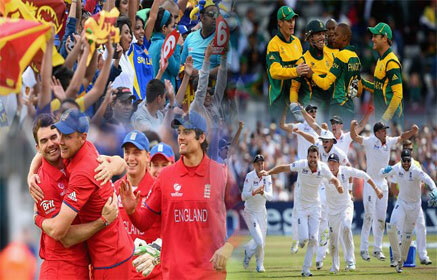 We are offering single test match tour and combined two test match tour also. After this England is scheduled to play India. So English cricket team will depart to India on or after 02 November 2016. They will be having practice match or session and then they will play their first test match at Mohali. So we are expecting the match to start from 07-08 November 2016. 18 Oct: Arrive Dhaka Arrive Dhaka international airport. Met and drive to hotel. Overnight at hotel. 19 Oct: Dhaka - Chittagong After breakfast drive to Chittagong. Check-into the hotel. Evening at relax. Overnight at hotel. 20 Oct: Chittagong Test Match After breakfast on time transfer to Zahur Ahmed Chowdhury Stadium, Chittagong to watch the first day of 1st test match between England & Bangladesh. 21 Oct: Chittagong Test Match After breakfast on time transfer to Zahur Ahmed Chowdhury Stadium, Chittagong to watch the second day of 1st test match between England & Bangladesh. 22 Oct: Chittagong Test Match After breakfast on time transfer to Zahur Ahmed Chowdhury Stadium, Chittagong to watch the third day of 1st test match between England & Bangladesh. 23 Oct: Chittagong Test Match After breakfast on time transfer to Zahur Ahmed Chowdhury Stadium, Chittagong to watch the fourth day of 1st test match between England & Bangladesh. 24 Oct: Chittagong Test Match After breakfast on time transfer to Zahur Ahmed Chowdhury Stadium, Chittagong to watch the fifth & last day of 1st test match between England & Bangladesh. 25 Oct: Chittagong sightseeing After breakfast proceed for sightseeing of Chittagong to visit Cox Bazar Beach, Inani Beach, Boga lake and Buddha Dhatu Jadi. Overnight at hotel. 26 Oct: Chittagong - Dhaka After breakfast drive to Dhaka. On arrival check-into the hotel. Evening at relax. Overnight at hotel. 27 Oct: Dhaka - International departure After breakfast on time transfer to Dhaka international airport for International departure.